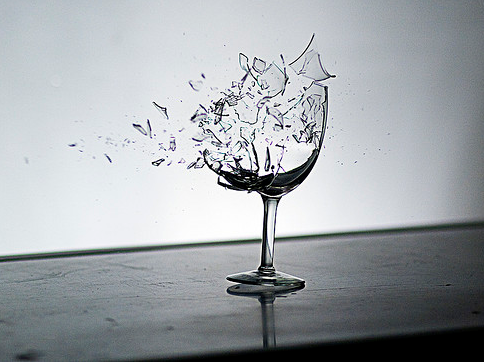 If you’re looking for signs of the adtech bubble popping, then Ad Age may have found a couple for you. Three high-profile adtech companies went public in the last year and a half — Mobile ad network Millennial Media, online-ad provider Marin Software and video-ad server Tremor Video — and all have seen their stocks largely rejected by investors, even while the broader market rises. Marin Software: Debuted at $16.26, now languishes at $12. Augme Technologies: Hit $4.90 in 2003, now at 36 cents. You could add Groupon into the mix too. It debuted at $26.90, and is now worth only $8.90. 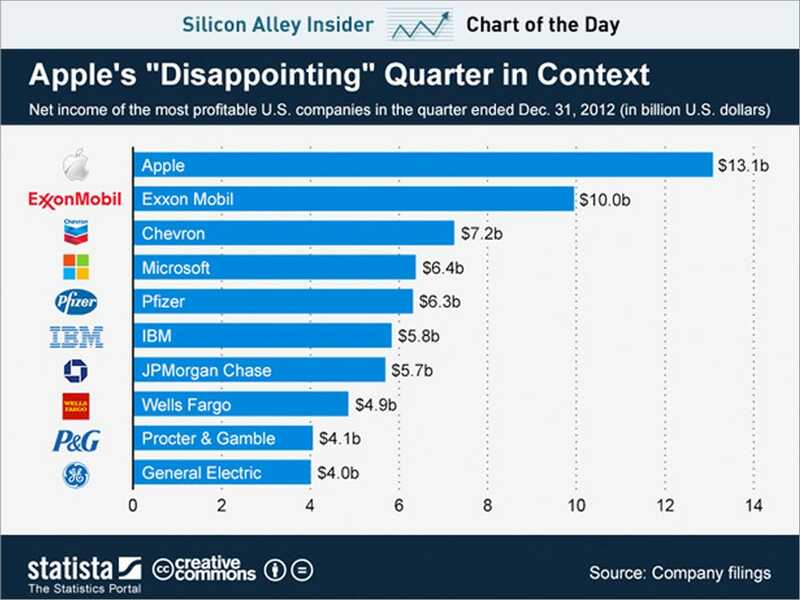 All these companies are chronically unprofitable. The Velti situation is most worrying — its revenues are down too and the company is in turnaround mode. If you follow the world of startups, you know Beachmint, Lot18 and Viddy have all made headlines over the past few years. Initially, they were recognized for raising big rounds of financing from notable investors. Each has raised more than $35 million (and in Beachmint’s case more than $70 million) to date. Now, they’re suffering management changes, layoffs, and some of their products are shutting down. Two of them, Viddy and Beachmint, are reportedly returning close to $20 million to investors. Beachmint is a celebrity-endorsed e-commerce company, Viddy is a social video app with filters, and Lot18 is a wine sales platform. The common factor in all of those companies, besides their initial hype and struggles, is one of their investors, New Enterprise Associates (NEA). NEA invested in Lot18’s Series B and Series C rounds totaling $40 million. It invested in every Beachmint round of financing totaling $73.5 million. And it invested in Viddy’s $30 million round. NEA also invested in Loosecubes, a startup that went belly up just as NEA was joining a $7.8 million round of financing in it last summer. Then there’s SAY Media, another NEA investment which recently suffered significant layoffs. Battery Ventures is also paying the price for similar investments. 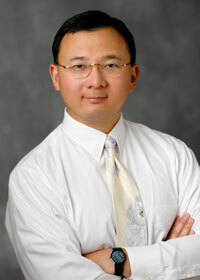 Battery Ventures was invested in Viddy prior to NEA’s $30 million round as well as Loosecubes. That’s not to say either firm is in trouble. It takes years to know how a VC’s portfolio will fair. NEA has a giant $2.6 billion fund that it raised in July 2012 to keep it running for a long time. All it takes is one or two home runs to return an entire fund. And NEA has gotten its hands in a number of promising startups, such as 10gen, Duolingo, BuzzFeed and Braintree. But it’s hard to ignore that over the past two years, a few of it’s biggest picks have gone south. 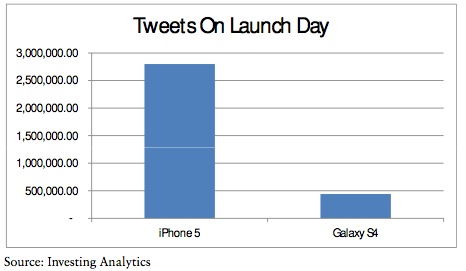 Piper Jaffray analyst Gene Munster did an analysis of Twitter reaction to the iPhone 5 versus the Samsung Galaxy S4. Heading into the S4 launch there was a lot of buzz that Samsung was catching up to Apple in cool-factor, and popularity. If you believe the results of this Twitter survey, it looks like Samsung still has a ways to go. Overall, Munster says people should buy Apple shares because it’s going to announce a lot of stuff later this year which will get investors excited. The sentiment around Apple has gotten so negative, you can forget how amazing the company is actually doing. This chart from Statista puts it in context. Apple was the most profitable company in the world last quarter. In terms of tech companies, it’s more than twice as profitable as the nearest competitor, Microsoft. That last one is a telling comparison, though. It’s not all about profits. It’s about future growth, and future products. Microsoft has always been an insanely profitable company. It’s been left for dead by investors and the cool kids in Silicon Valley because it whiffed on mobile. So, even though Apple had gigantic profits last quarter, the stock is still down. But, still, they are seriously gigantic profits. Well, it finally happened. Apple’s spectacular revenue and profit growth have fallen back to earth. If you’re looking for a reason why investors have fled the stock, then look no further than this chart. For the three month period ending December 31st, 2012 the company pulled in $14.42 billion in revenue — a staggering 36 percent increase year-over-year. That doesn’t even include revenue generated by Motorola’s recently spun off Home division, which would have pushed the total to $15.24 billion. 2012 also marked the first year that the company broke the $50 billion barrier for total revenues. Of course, bringing in all that money means nothing if you can’t actually turn a profit. Good news for investors is that Google saw a net income of $2.89 billion this quarter, up from $2.71 billion the same time last year and $2.74 billion last quarter. Not surprisingly, a large chunk of that cash is coming from Google’s own properties and advertising — with Google-owned sites accounting for 67 percent of revenues and ads pulling in $12 billion on their own. Obviously, a vast majority of Big G’s income is coming from the US, $5.99 billion in this quarter, but international markets are still hugely important for the company. 53 percent of its revenues came from overseas ventures, including $1.3 billion from the UK alone. While we spend much of our time focused on Apple’s incredible stock run, Google has also been experiencing a nice little run of its own lately. 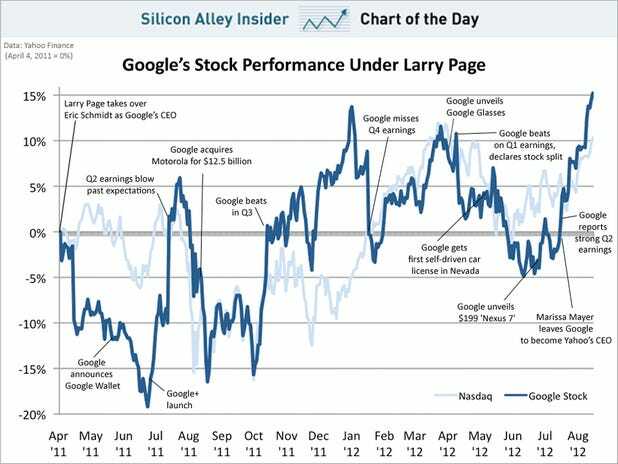 Under Larry Page the stock is up 15%, which is somewhat surprising because Page is not exactly favorable to Wall Street, or investors. In fact, Page’s actions as CEO have been somewhat hostile to investors. He split Google’s stock giving himself even more power. Google is releasing all sorts of new, weird products like Google Glass, and self-driving cars. Investors tend to frown on these odd ball products. So, what’s working for Google? Well, it’s not Facebook. 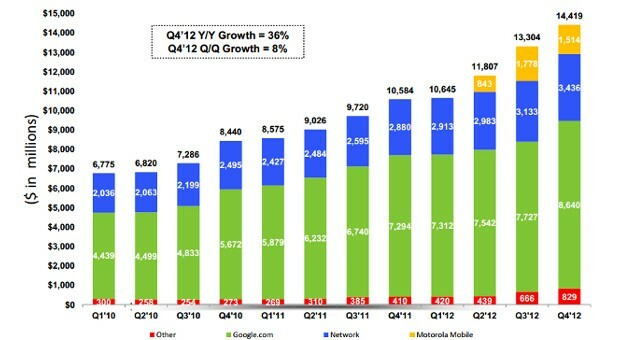 And it’s pretty evident Facebook’s ad sales aren’t coming at the expense of Google’s. Perhaps that’s helping propel the stock forward. Because investors sure are. Facebook’s share price jumped up 3.8% to $33.05 today on news that it’s now showing its ads on Zynga.com in a revenue sharing partnership. Most amazingly, neither the press nor users seem to be freaking out that their private, personal data is now being used to target them with ads outside of Facebook. That means Mark Zuckerberg waited just long enough, proving he’s even smarter than he used to be. There’s a reason people call Etsy the next eBay. Six years after their founding, both companies are showing eerily similar growth curves. 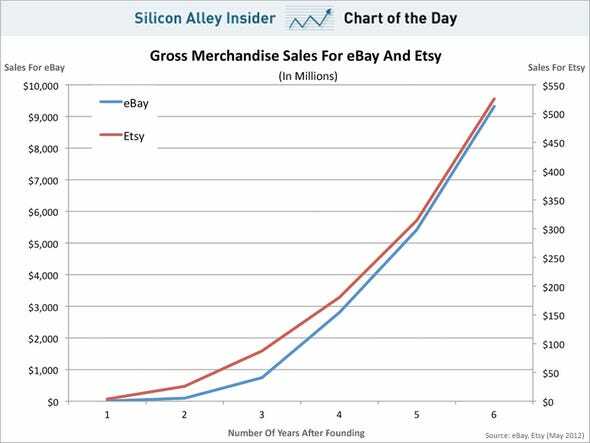 Admittedly, Etsy is tackling a smaller slice of online retail than eBay, but that didn’t bother the investors who valued the company at an estimated $688 million in its latest round of funding. When does 845 million not equal 845 million? When it’s the number of active users Facebook claims in its initial public offering filing. Last week the social networking giant amended that filing and conceded it may not be so giant. While still massive, Facebook said as many as 6% of those accounts may be fakes and another 5% may be from people who downloaded Facebook’s mobile app and have it running in the background of their device even though they no longer use the site.